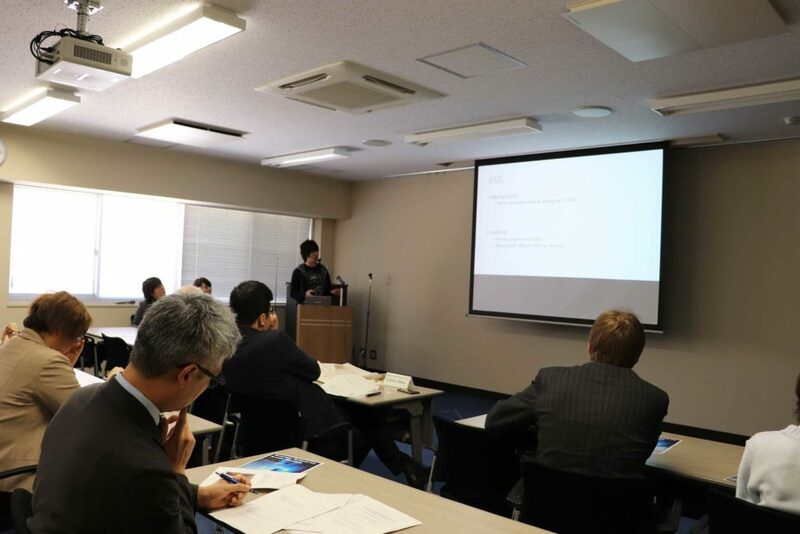 On March 7th, 2019, a briefing for the Association of Polar Early Career Scientists (APECS) and the University of Arctic (UArctic) Science Communication Workshop was held in Hokkaido University. One of the students who attended this workshop last September, Mr. Yusaku Ohkubo of the Graduate School of Environment Science, made a presentation. 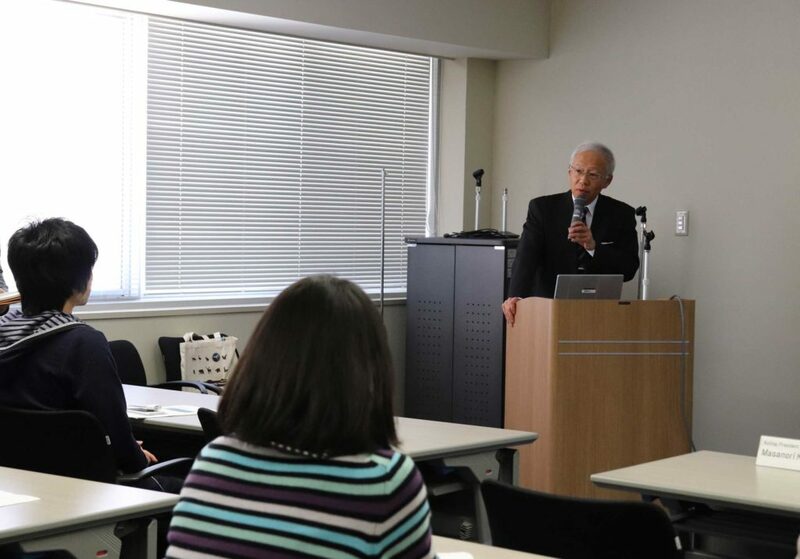 There were 15 participants, including Executive and Vice President Dr. Masanori Kasahara, and the Director of the International Affairs Department Mr. Ryuichiro Shima, as well as faculty members of the Arctic Research Center and students interested in arctic studies. The APECS-UArctic Science Communication Workshop was jointly organized for students by UArctic and APECS. It was held at the University of Oulu, Finland on September 3rd and 4th, 2018. Hokkaido University has sent one or two students to UArctic student events every year since 2011 and last year two students participated in the workshop. The main aim of the workshop this time was to gain science communication skills. The participants learned how to tell people about their research using social media, videos, and by focusing on storytelling. During his presentation, Mr. Ohkubo talked about science communication, referring to Hokkaido University’s CoSTEP program as an example. He also talked about how inspiring the experience of attending the workshop was. During the Q&A following his presentation, he was able to explain more about the workshop. In response, Executive and Vice President Kasahara gave his thoughts on the presentation and talked about the importance of research quality alongside communication skills, encouraging Mr. Ohkubo to continue making steady efforts to succeed in his research. This August, Trent University in Canada will hold the Student Forum as the 2019 UArctic student event. Hokkaido University will continue promoting international exchanges through UArctic activities. The University of the Arctic (UArctic) is a cooperative network of universities, colleges, research institutes and other organizations concerned about education and research in and about the North. The member organizations are mainly from Canada, Denmark, Finland, Iceland, Norway, Russia, Sweden, and the United States. Since 2011, Hokkaido University has been the only Japanese and non-Arctic region member.